Rubybox releases [Man Box] / Gee Whiskers! [MAN BOX] Get it now! Glambox was the first to release a long overdue box for men, The Box. 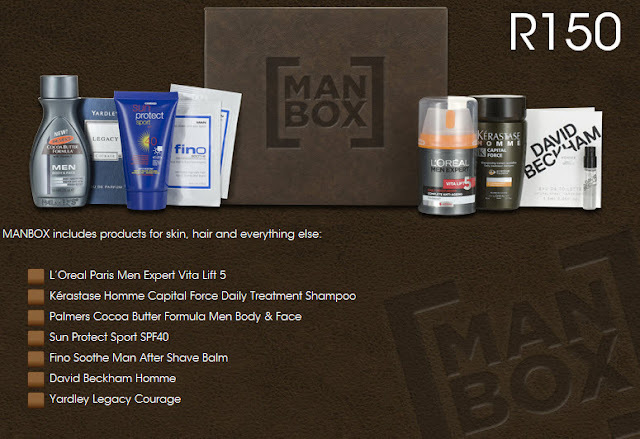 Rubybox is the next to follow suit with the Man Box. The box retails for R150 and includes the products listed above. I do like that one knows what is coming in the box before spending the R150 on it. Order now to secure your box!